Consult this sizeguide to determine your size. Take measurements while wearing the undergarments/shapewear that will be worn with this dress or gown (and nothing else). The fabric does stretch a little for comfort, but this is no 'stretch dress'. Now available in The Netherlands and exclusive online at TopVintage: Red Juliet Couture dresses. This 50s Grace Swing dress black pin dots is a beautiful classic dress which exudes style and elegance. The fabric is soft, has a very light stretch and does not crease. 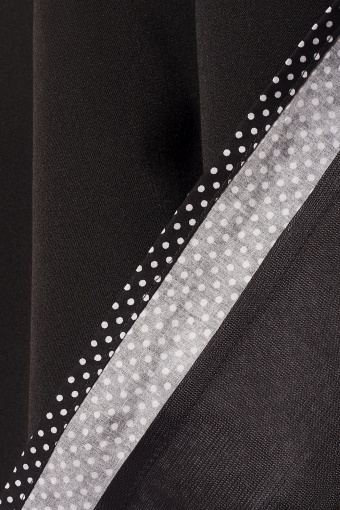 Waistband and seam is detailed with a cute pin dot. This dress has a full skirt. Red Julie Couture dresses are timeless, from high quality and very exclusive!